Many of us are still enduring frigid temperatures, and some of us are still covered in snow. This time of year, we get winter-weary. Will Spring ever come? I needed a little warm weather encouragement this week, and I thought you might, too...so I put together this collection of my best Spring recipes. Put on your flip-flops and come dream of Spring with me! Spring is for lemon everything! Quite possibly the best lemon loaf I have ever had. Carrot cake is a must-have in Spring! 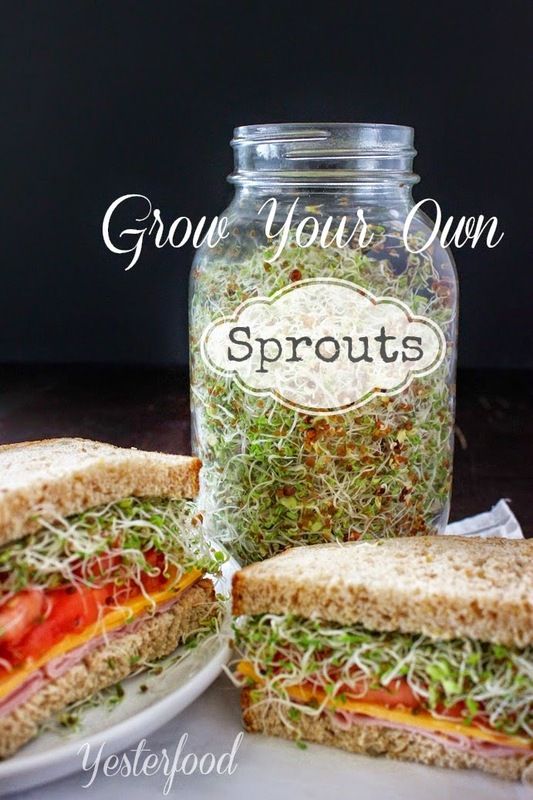 Even when it's cold outside, you can grow something fresh! 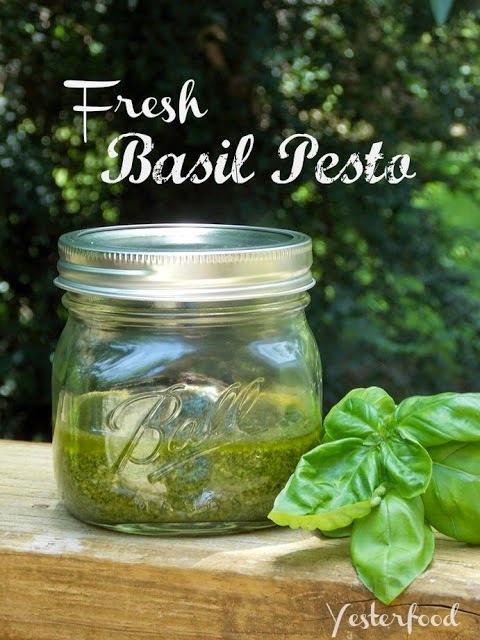 Just think of when you can pick basil right out of your own garden! I hope you enjoyed our brief journey into Spring. Here's hoping for the real thing soon! We go to these parties, including Susan's! pooh these look yummy! And when it's -13 where I live, this really has me wishing spring were here! Next to chocolate, lemon is my favorite dessert treat. 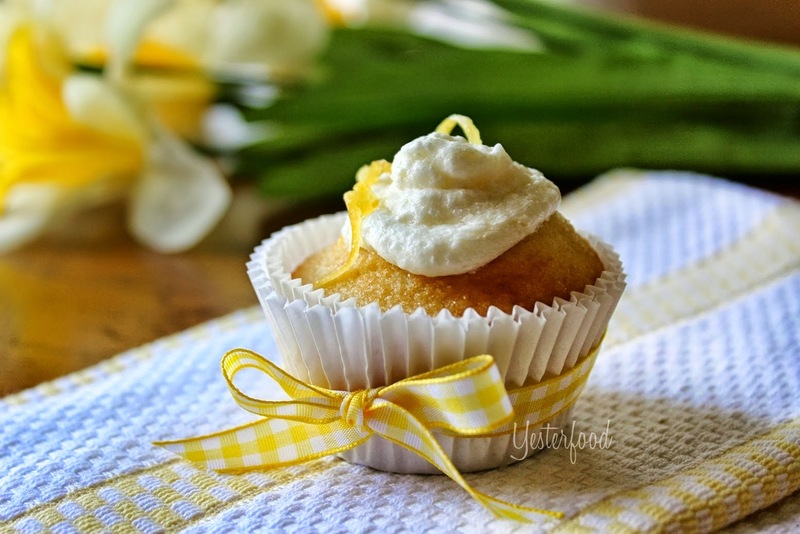 Pinning these luscious lemon recipes! Surely spring can't be too far away! Yum! I love lemon and cannot wait to cook up some of these recipes this fall! Thanks for linking up with me today! The lemon recipes look really intriguing, I have to check out the copy cat cake!! It is so cold here in Arkansas. School is out again today because of freezing rain and ice. You probably already know, but I LOVE everything lemon. It truly reminds me of spring and new beginnings. I am going to have to make some of these lemon treats. Joy, I love all these vintage recipes! I cannot wait to try them. Pinned! 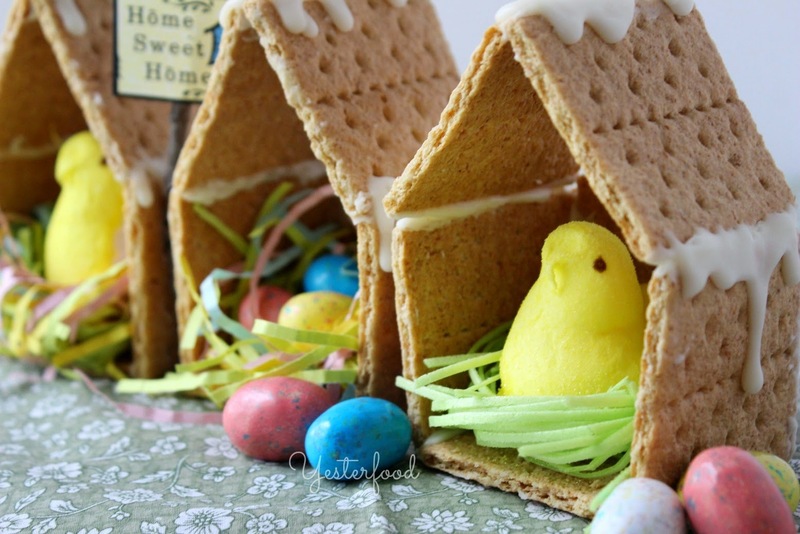 Oh my gosh...I'm in love with the peep house! Oh, and lemon anything too. So ready for Spring! Thank you for sharing your roundup with us at Merry Monday! That salmon looks so good. Thanks for a glimpse of spring. I am so ready for spring, this give me hope! Thanks so much for sharing your awesome post with Full Plate Thursday! Hope you will come back to see us real soon! 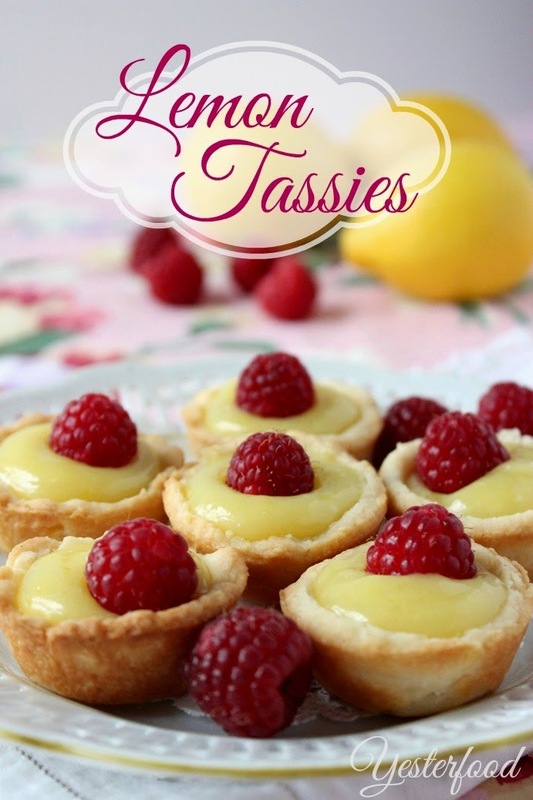 Loving the lemon tassies! We are wishing for spring too! Thanks for sharing at the Brag About It link party! Thanks for sharing on My 2 Favorite Things on Thursday!! Hope you come back tomorrow and share some more stuff!! Pinned!! Oh wow, you're making me hungry! Thank you for sharing these great (yummy!) meals. Thanks for sharing these amazing recipes on Weekend Bites! 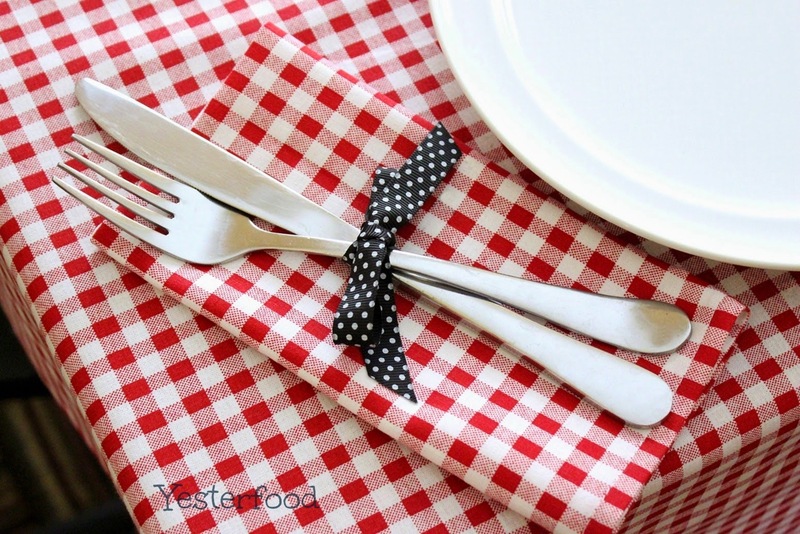 We're featuring them on Practical Parenting Ideas tonight in a special Spring recipes post. These are so wonderful! This is post is featured on this week's Funtastic Friday. Hope to see you there. I came by to let you know that you've been featured at this week's #HomeMattersParty - we'd love to have you come check it out! It's been cold and nasty lately and I've been sick for over a week. I so needed to think about Spring, Joy! Hey Joy! Stopping by to let you know that you are MY FEATURED FAVORITE at this week's Teach Me Tuesday Link Party;) Hope you have the time to stop by this week! Joy yes you are right, we can dream about spring only now. 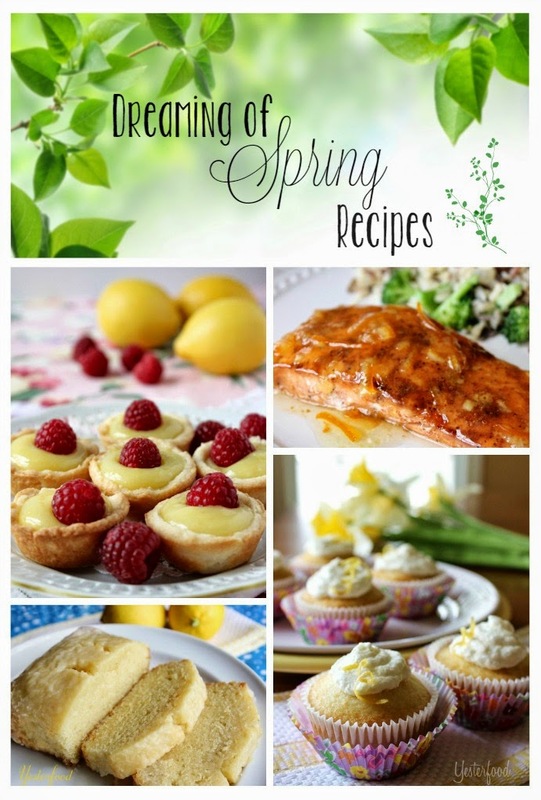 These spring recipes looks really nice.thanks for sharing with Hearth and soul blog hop, pinning and tweeting. Well, this post certainly spelled spring! 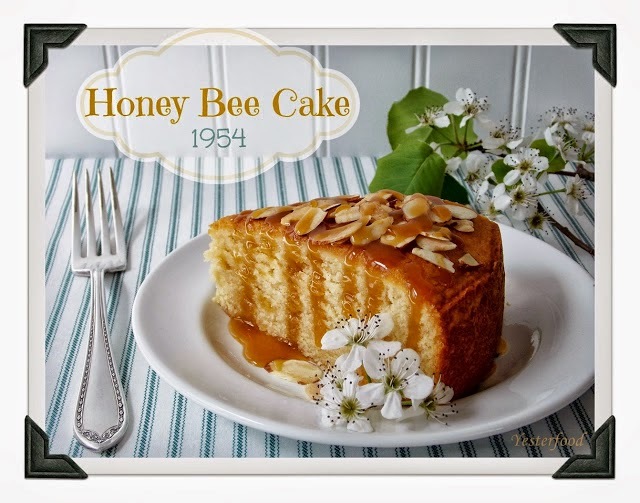 :) Thanks for sharing the lovelies on the Art of Home-Making Mondays!